Bright prints inspired by a child's first year in a kindergarten's classroom. 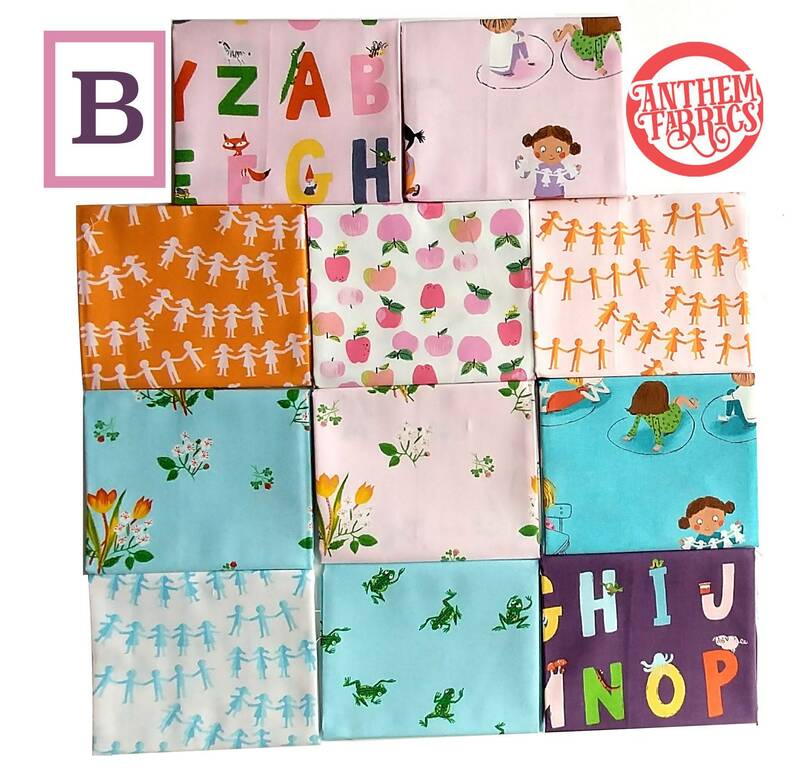 Kinder Collection by Heather Ross for Windham Fabrics. Quilting & Fashion weight fabric. A fat quarter (FQ) cut = 18"L x 21"W ( 46cm x 55 cm). Alphabet in pink, indigo ( 2 FQs). Kindergarten in pink, blue ( 2 FQs). Paper Dolls in blue, pink, orange ( 3 FQs). Spring Blooms in pink, pale blue ( 2 FQs). Frogs in pale blue ( 1 FQ). 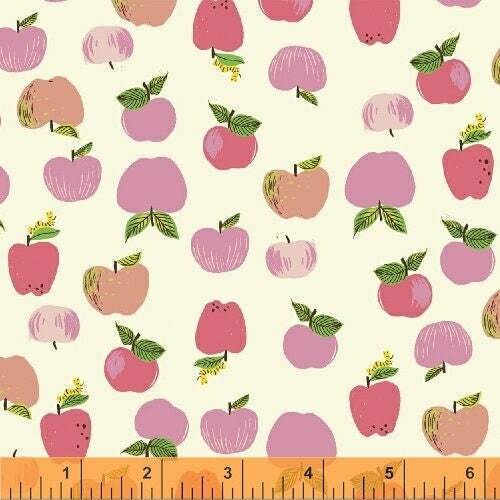 Apples in pink ( 1 FQ). Eleven FQs total, about 2.75 yards of fabric. Custom bundle is not available.